After a quick stop in Auckland, most people make a beeline for the South Island as soon as they reach New Zealand. They’re focused on Aoraki (Mount Cook), Stewart Island, Fiordland National Park, and the Marlborough Sounds. Each of these destinations is amazing and totally worth the long trip. But, when it comes to the Kiwi destination to which you keep returning, it’s always on the North Island. 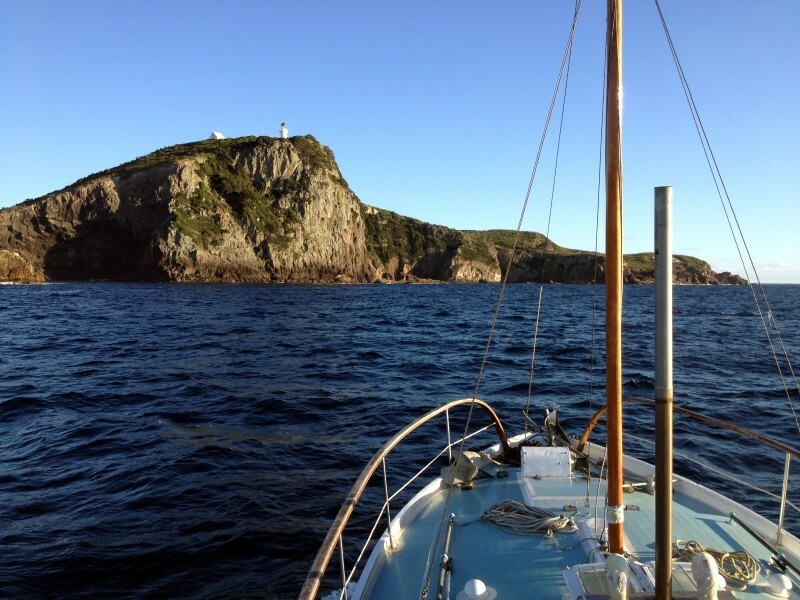 You love sailing among the islands off the northeast coast of the North Island. Waiheke Island. Great Barrier Island. The Bay of Islands. Today, you’re focused on the Mokohinau Islands. The Mokohinau Islands aren’t as well known as the others on your list. They sit at the entrance of the Hauraki Gulf. They’re easily accessible from the cute towns, the beaches, and the wineries around Whangarei. Plus they’re only 13 miles northwest of Great Barrier Island and 62 miles northeast of Auckland. But, except for one, you can’t land on these islands without a permit. The small group of volcanic islands—four main islands plus a handful of islets and rocks—are uninhabited. The Māoris have long used them for muttonbirding, the seasonal harvesting of grey-faced petrel chicks for food, oil, and feathers. In 1883, the whitewashed Mokohinau Islands Lighthouse was built on Burgess Island. It has helped guide vessels toward Auckland, except during World War II when the light was turned off due to a German destroyer in the area, ever since. The islands have also been designated as the Mokohinau Islands Nature Reserve. It protects endangered species (Mokohinau skinks and Mokohinau stag beetles) on land, as well as the clear water, teaming with wildlife, that surrounds them. Fishermen and scuba divers love the waters around these islands. Fishing trips, in search of striped marlin and giant yellowtail kingfish, depart from Leigh and Whangarei. Divers head for the deep canyons, the large schools of New Zealand demoiselles, and the outstanding visibility. While you’re going to Burgess Island, the lone accessible island, to hike up to the cliffside lighthouse. You’ll be rewarded with breathtaking views—as expected in New Zealand.